Consider The Duke Company your partner that can assist you with all your equipment rental needs . We offer expert advice from our highly rated customer service. Furthermore, we offer the best values and fast delivery. For exceptional customer service & the fastest delivery in Upstate New York, call us for a prompt rental quote. 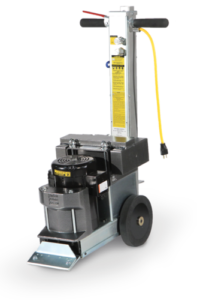 The Duke Company rents the National Flooring Equipment 5280 that enables incredible speed and coverage for floor scraping and floor removal. This machine will dramatically increase the productivity of your crew. Ergonomic features mitigate operator fatigue. Removable 49 pound saddle weight to increase or decrease downward pressure and traction. We're Expanding Our Rochester Location!